Wiseco debuts an all new piston for V-twins. We take an in-depth look at the features and benefits of the new Black Edition pistons available across multiple Harley Davidson platforms. It's no secret that Harley Davidson riders and enthusiasts take performance and quality seriously when it comes to their machines. Some of the cleanest, most detailed bikes on the road are Harley Davidsons. However, it's important to have parts inside the bike that perform as good as the bike looks. Harley owners have a new choice of high performance pistons for their bikes: Wiseco Black Edition pistons. These pistons feature an industry first ArmorFit coating on the piston skirt, as well as a propietary ArmorX coating on the entire piston. They offer superior protection against wear, higher compression, smooth and quiet operation, and maximized efficiency. Black Edition pistons are Wiseco's most feature-rich Harley Davidson pistons yet. Read on for details. Wiseco’s ArmorX coating comes from a proprietary electrochemical process using high strength materials that creates an armor-like coating on the piston dome and ring grooves, providing resistance to extreme heat and detonation, while also providing a distinctive black color. The ArmorX coating acts as a shield around the piston, keeping the forged aluminum protected against potential damage from extreme conditions. The propietary Wiseco ArmorX coating protects the entire piston crown as well as every surface of the ring grooves. The ArmorX coating also adds support to the vulnerable areas of the piston. Machine work done on a piston, such as the piston ring grooves, can create vulnerabilities in certain applications. After machining, these areas could potentially display reduced strength and wear resistance, especially in V-twins. However, the ArmorX coating covers every nook and cranny it’s applied to, adding its strength and wear resistance qualities where the piston needs it most, providing even longer piston life. The patented Wiseco ArmorFit coating is a product of the in-house R&D department. Wiseco’s research and development team went through a thorough process of testing, developing, and benchmarking with the in-house dyno, as well as with thousands of on-road miles, to perfect the ArmorFit skirt coating. The Wiseco ArmorFit skirt coating is mixed in house and applied using a propietary process. The ArmorFit coating comes from a “moly” (molybdenum) based dry film. Moly is naturally a dry lubricant, providing great lubricating qualities even in the presence of zero liquid lubricators. Wiseco mixes the ArmorFit formula in-house, and uses a patented process to permanently apply this moly based dry film to the piston skirt. ArmorFit is bonded to the skirt surface, and is designed to become the piston's sliding area against the cylinder wall. The result is smoother and quieter piston operation while simultaneously reducing friction. 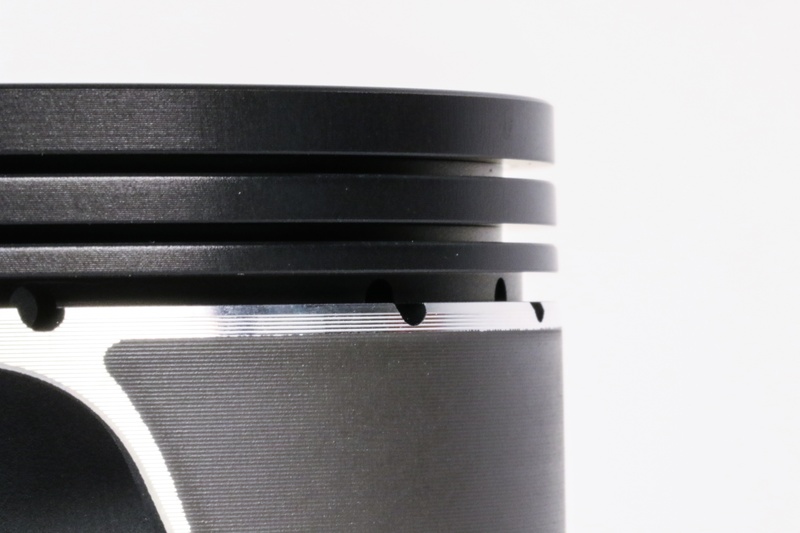 During engine motion, the coating will adapt and actually fit itself to the cylinder wall, eliminating the need to measure clearance or worry about noise and wear that comes from piston rock with some traditional style pistons. The ArmorFit skirt coating is there to act as the contact surface with the cylinder wall for the life of the piston, not just for break in. A very important note regarding the ArmorFit coating is that Wiseco does not change the piston’s outside diameter to accommodate for the coating. Proper clearance between the piston and cylinder wall is always necessary to allow room for expansion at operating temperature. 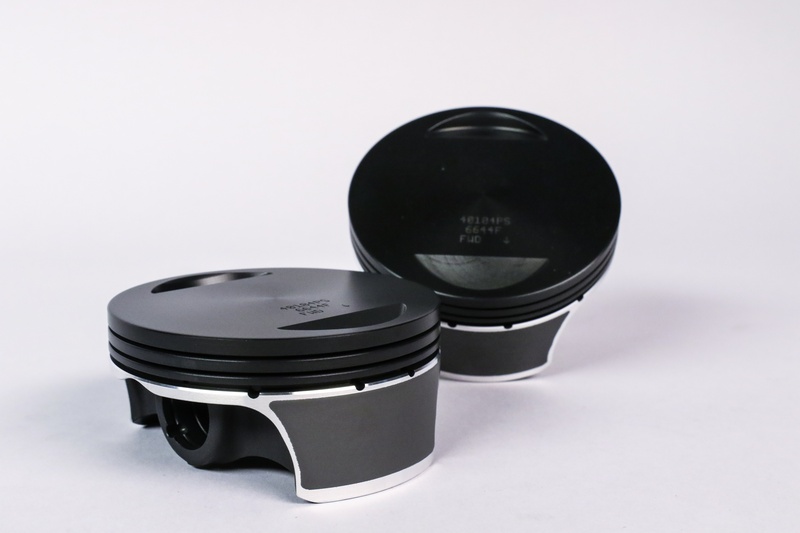 Proper piston dimensions are maintained during production of Black Edition pistons, and the ArmorFit coating is applied after these dimensions are met. As a result, the user can simply choose the proper piston to fit their bore, and let the ArmorFit coating worry about the rest. One of the most exciting new products from Harley Davidson announced for 2017 is the Milwaukee 8 power plant. This new engine is 107 ci (1750 cc), and features a total of 8 valves (2 intake and 2 exhaust per cylinder). 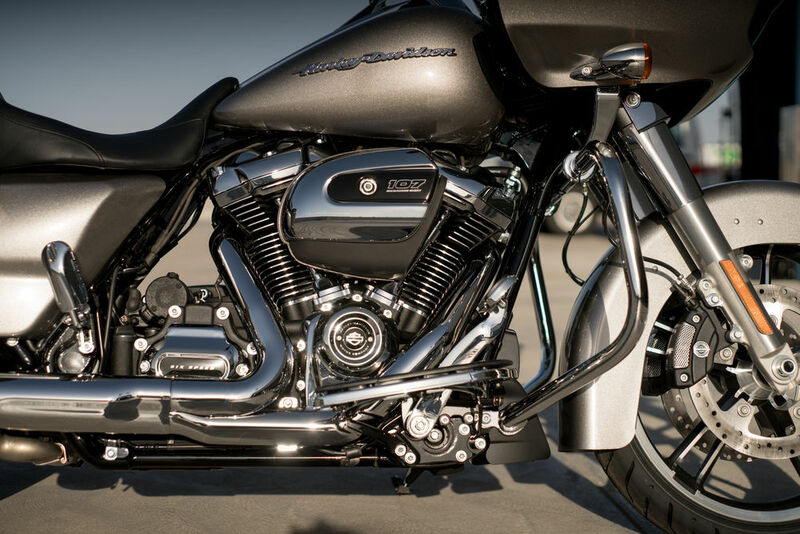 Harley has boasted quieter engine operation, smooth power, and an improved cooling system with this new engine. The Milwaukee 8 engine in a Road Glide. The Wiseco Black Edition pistons are the first of their kind for the Milwaukee 8. They offer higher 11:1 compression, as well as much quieter operation. 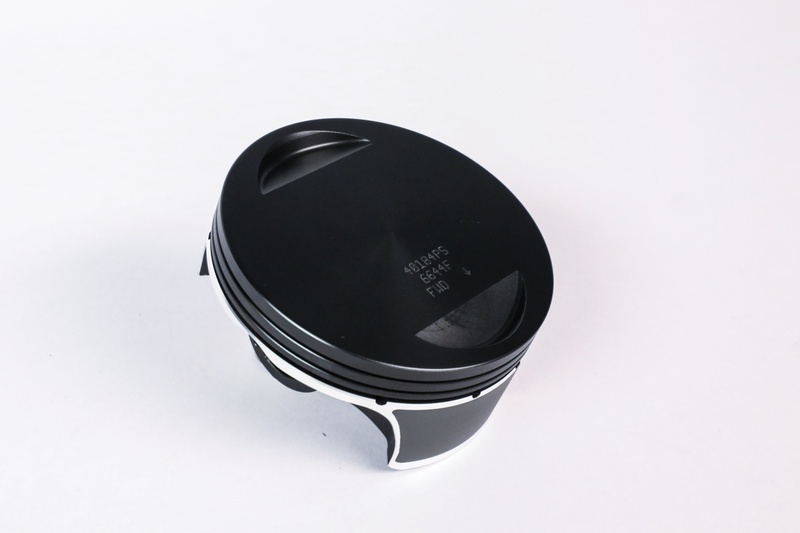 The Black Edition pistons will improve lubrication of the piston and the piston pin to combat wear, and offer a better ring seal thanks to optimized ring grooves. Also, the CNC machined dome shape, along with the ArmorX coating, allows for more efficient power delivery and fuel use thanks to improved flame travel during combustion. This means that the engine will operate smoothly and quietly throughout the entire RPM range. 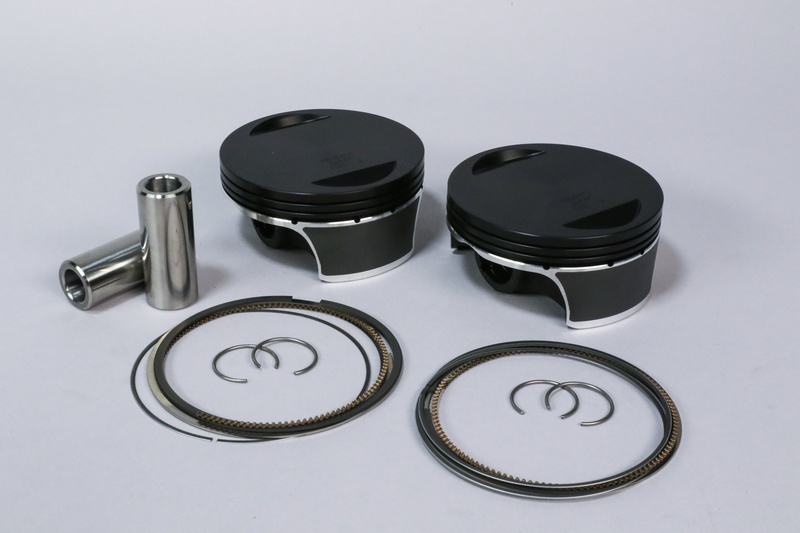 Pictured here are Black Edition pistons for traditional four valve applications, but Milwaukee 8 Black Editions have all the same bells and whistles. 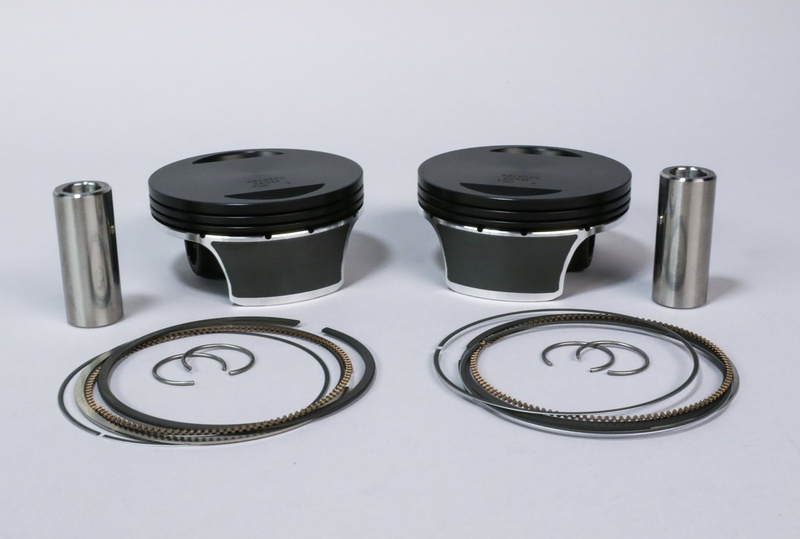 The Black Edition pistons are the result of the need for Harley riders to get the best performance out of their bikes, while improving reliability and operation as much as possible. 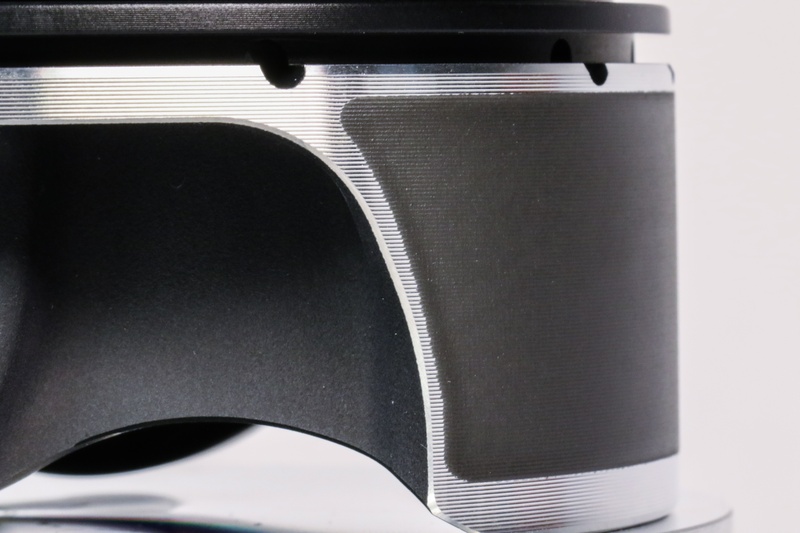 ArmorX protects the pistons from heat and detonation, and ArmorFit shapes itself to the bore so it can operate quietly, smoothly, and with little friction. Fast, fun, and peace of mind – it’s the ultimate combination. 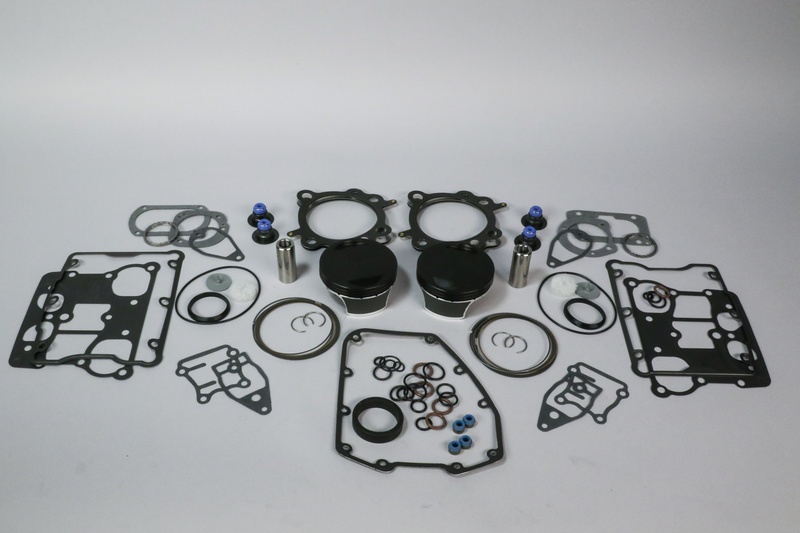 Wiseco Harley Davidson Black Edition pistons can be ordered as full kits; including all necessary gaskets and seals.